In fairy tales, forests are for frog princes and talking deer. In this tale, forests are for playing bocce and drinking bourbon. 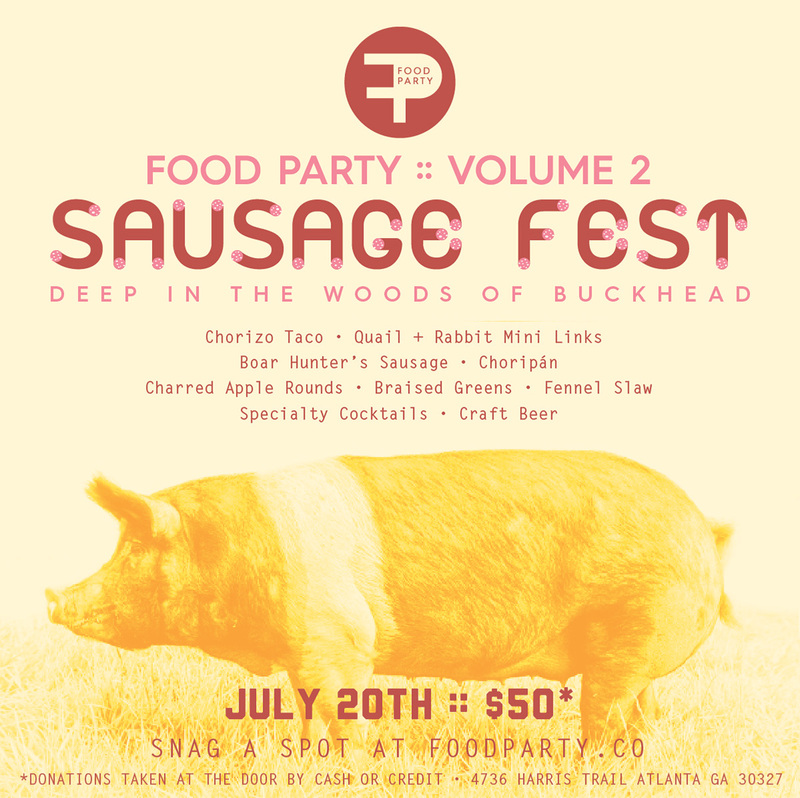 Once upon a time, there was Food Party, a new monthly supper club where a former Holeman & Finch chef makes a bunch of bocce and sausage happen right in the middle of a Buckhead forest, taking reservations now for Saturday evening’s repast. The background report on this thing checks out beautifully. It’s held near a barn on 6.5 acres. There’s a quaff-at-will policy at the fully stocked bar. 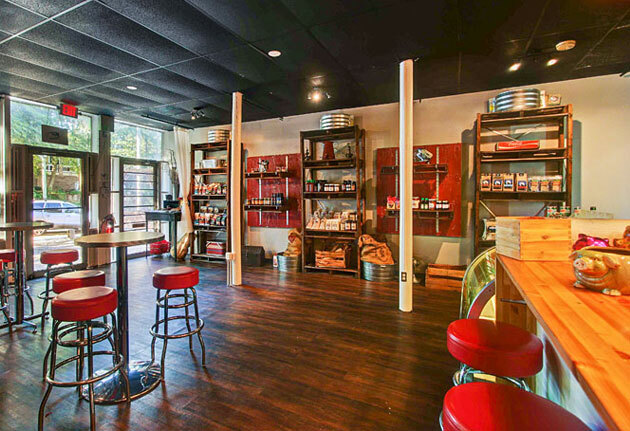 It’s all orchestrated by chef Tony Seichrist (of Holeman & Finch and the Farmhouse at Serenbe fame). And... yep, we thought you might allow it. Come Saturday, you’ll drive until you hit 4736 Harris Trail and the smell of rabbit links. You’ll see grassy knolls. And people. Like 120 of them. Hop out and just start mingling. 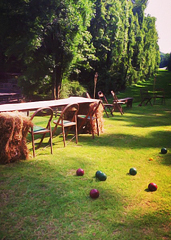 Over bocce. Over beer and bourbon cocktails. Over the invigorating smell of not-traffic. Also of note: there’s no formal sit-down dinner here. It’s casual. The menu’s theme changes monthly (this time it’s sausage), so grab a plate and start putting choripán sandwiches on it. And boar hunter’s sausage. And chorizo tacos. Maybe a beer if you’re good at balancing things.